I recently learned the annual budget for Tilden High School. I then divided that number by the total number of students at Tilden and learned that Chicago is spending $175,000 for each student per year. That is 5 to 6 times the cost of sending a kid to the best private high schools in the state.\ How do we justify the absurd amount of money Chicago spends to educate a child? 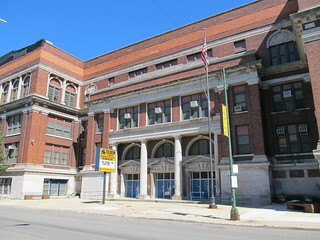 School budgets are reportedly shrinking across the city in 2013 and it’s causing a lot of uproar. But as the debate over Chicago Public Schools’ current budget continues, Curious City is digs into the math behind the budget and how much ends up being spent on students. Click here for the full story.